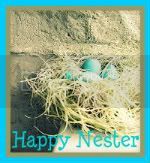 This week’s STAR spot is From happy nester. Please follow their blog. i’d like to share… that i love you all! i really really do follow back and i really do read your blogs, i should comment more often but i do spend a couple hours every night reading blogs. the blogworld has opened up a whole universe for me and i love it, so much to learn and see and be entertained by!